In case you had any doubts, your suspicion that Mrs. Danvers is unhinged is confirmed when she pulls out Rebecca’s nightgown, marveling over how sheer it is (“Look, you can see my hand through it!”) And then, just for good measure, she goes the extra mile, suggesting that Rebecca comes back to watch her former husband and his new wife together. You know what “together” means. Fontaine’s performance makes the picture memorable. You watch her harden as the story develops, taking on the responsibilities of her role as mistress of Manderley, rallying behind her unstable husband (Laurence Olivier). She comes across as natural, spontaneous, whereas Olivier strikes me as more studied, as if he’s watching himself playing the character of de Winter. Hitchcock’s sure touch with the pacing and camera work perfectly conveys the gothic feel of Daphne Du Maurier’s novel. The menace you feel from the moment you enter Manderley, the tension in every scene, which grows more unbearable as the film goes on — so much so that you’d like to stop watching because you fear the story cannot end well, but of course you can’t stop. You’re in too deep. You won’t breathe until it’s over. Heckler: How old is Mae West? Mr. Memory: I know, sir, but I never tell a lady’s age. Man in audience: What causes pip in poultry? His wife: Don’t make yourself so common. Man in audience: Our fowls have it, haven’t they? This delightful anarchy is disrupted by gunshots, and the next thing you know, our Canadian hero, played by the suave Robert Donat, is escorting a lady (Lucie Mannheim) from the theater. A woman of mystery with a foreign accent, this lady turns out to be a spy. She’s the very person who fired the gun, hoping to escape her pursuers by creating a diversion, and Donat’s character will soon discover her with a knife in her back. Serious stuff, but Hitchcock can’t resist playing with us in their first encounter outside the theater. Mannheim: May I come home with you? We see Donat on the run, evading both the police (who suspect him of Mannheim’s murder) and the true killers, hopping onto the train to Scotland, sharing a compartment with a pair of corset salesmen and a clergyman who can’t resist ogling their wares. Another tense moment as he is spotted in the Edinburgh station, this one ruptured by a stolen kiss as Donat foists himself on the unsuspecting Madeleine Carroll, pretending to be her lover. Carroll promptly turns him in, but we know she’ll end up as his romantic interest, although it takes awhile for the two to get together (handcuffs are involved). But, hey, what’s the hurry? You wouldn’t want to miss Donat delivering a political address on behalf of some Scottish candidate for M.P., improvising madly to stay on stage because the police and the bad guys are in the wings, ready to nab him. He does such a good job of giving the audience what they want to hear that he gets a standing ovation. Mixed in with the comedy is a bit of melodrama reminiscent of the silent movie era. 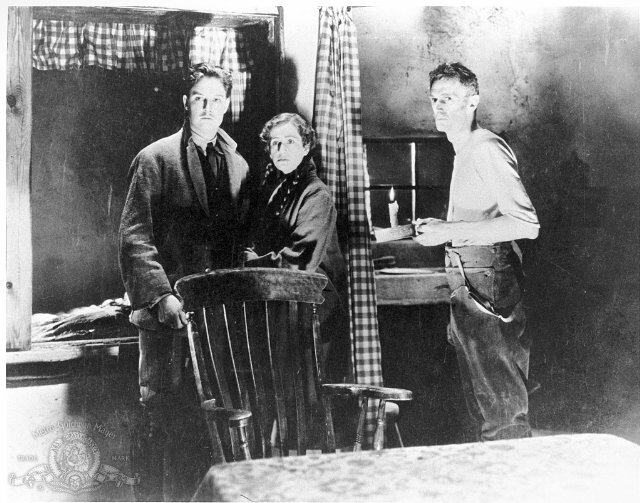 Donat takes refuge with a Scottish farmer and his wife (played by the young Dame Peggy Ashcroft). Ashcroft’s character believes his story and helps him to escape, knowing full well that she will incur her jealous husband’s wrath. Donat suspects as much, but allows himself to be persuaded otherwise. It’s a poignant scene that deepens the story and raises the stakes, somehow. A moment of real communication between two fine actors, well worth watching again all on its own. Claude Rains’s mother. Madame Anna Sebastian. Oh My God, is that woman scary! With her crown of tightly-braided hair and her severe expression, she comes across as cruel and rejecting. Hard to believe she gave birth to a son like Alex, a man who could harbor an unrequited passion for years — and who can blame him? Ingrid Bergman’s Alicia is stunning and complex, a woman with a past who wants nothing more than to put her notoriety behind her and redeem herself through love. Unfortunately, the man she loves, Cary Grant’s Devlin, just can’t get beyond that past of hers. Poor Alex. He brings Alicia home to meet his mother, barely able to contain his delight at having snared her, but Madame Sebastian pours cold water on her son’s happiness right away: “Wouldn’t it be a little too much if we both grinned at her like idiots?” Of course, she suspected Alicia all along. In the scene where Alex confesses his gullibility and voices the fear that his sinister colleagues will kill him for his mistake, Madame Sebastian shoots for the heart. “We are protected by the enormity of your stupidity,” she snaps. On top of this, she smokes like a Nazi! You know how they hold a cigarette, pinched between the thumb and two fingers, not resting in the V between the index and middle fingers the way decent people smoke? Okay, I got that out of my system. Cary Grant and Ingrid Bergman. What a grown-up romance they have in this picture. Neither of them is “nice;” they don’t “meet cute.” Alicia’s drunk, in addition to being a fallen woman, and the daughter of a Nazi to boot. Devlin crashes her party, wrestles with her, knocks her out, manipulates her into accompanying him to Rio to work for Uncle Sam. Then they fall in love and Devlin wrestles with himself, betraying Alicia at every turn. She loves him still, and redeems herself, almost dies in the process. But it’s worth it. Oh, yes. Totally worth it.